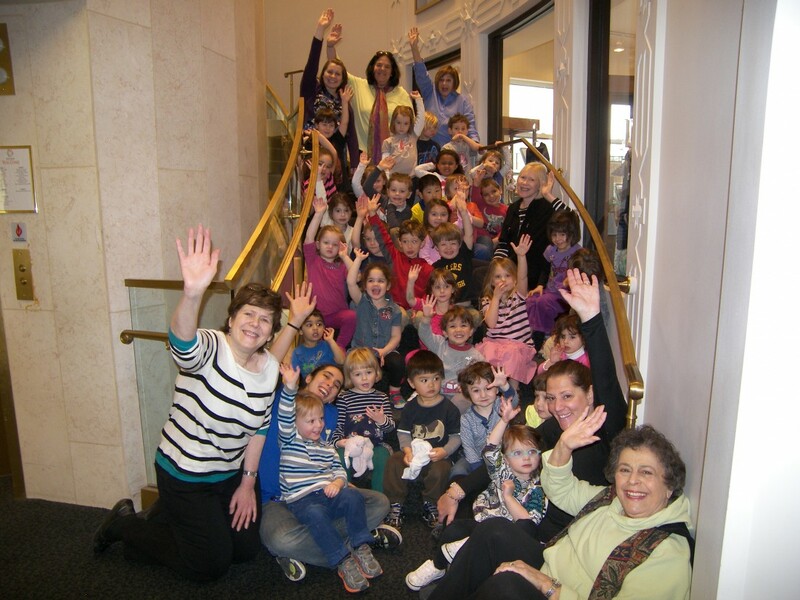 Rodef Shalom Family Center Preschool | A place to learn to love learning! Family Center Preschool Registration Open! Rodef Shalom Family Center Preschool is accepting registrations for the 2019-2020 school year. Call 412-621-6566 ext. 127 to schedule a visit. Every day is open house! Rodef Shalom Preschool is a warm nurturing and supportive environment that provides for all areas of a child’s development – physical, emotional, social and cognitive – through an integrated approach to learning. We recognize that each child is a unique person with his/her own pattern and timing of growth, individual personality, temperament, learning style and cultural background. It is our task to create a safe and stimulating environment and provide age-appropriate experiences that match the child’s development abilities while challenging his/her interests and understanding. Everyone is welcome at Rodef Shalom Preschool. Located in the Shadyside-Oakland neighborhood, the school draws families from the city’s university, cultural, and medical communities. International families, interfaith families and children from other congregations or unaffiliated families throughout Pittsburgh are all welcome to enroll. Our teachers, led by one of the city’s most respected child development specialists, work closely with families to appreciate and support each child’s unique approach to learning. Staff provides a nurturing environment that encourages peer interaction and helps children to feel safe and comfortable away from home. • Classes for children 18 months through 5 years old. Children’s learning does not occur in narrowly defined subject areas, but rather, is a process where activities stimulate all areas of development simultaneously. This is accomplished by designing an environment that invites active exploration, experimentation and interaction with teachers, other children and materials. With play as the core of our curriculum, we provide a program that encourages success through involvement in self-selected activities. Children develop a positive self-image when they are given opportunities to exercise the power of their own choices. Teachers observe closely and ask questions, make suggestions and/or add more complex materials to stimulate children’s thinking, extend their learning and build their capabilities. As a Temple school, we integrate our developmentally appropriate approach with the appreciation of the child’s unfolding Jewish identity. The preschool takes advantage of its Synagogue setting through extensive interaction with the Rabbis and full use of our site including the Biblical Garden, the libraries, the sanctuary and the chapel. We acknowledge and respect the diversity of our children while emphasizing Jewish values of family, community, caring and joy. Through music, holiday celebrations and learning simple blessings, our children gain pride in the richness of their Jewish heritage and culture. We have a family-friendly environment. Our facility is cheerful, bright, clean, secure, and child-friendly, with well thought-out spaces for young children and parents. Everyone’s welcome. Come join our family! The nurturing environment within our preschool extends to the entire community and provides numerous opportunities for young children and adults to make friends and build connections. The school draws form the city’s university, cultural and medical communities. International families, interfaith families and children from other congregations or unaffiliated families throughout Pittsburgh are all welcome to enroll. The preschool takes advantage of its synagogue setting through interaction with the rabbis, and full use of our site including the library, worship spaces, and gardens. While we acknowledge and respect the diversity of our children, the Rodef Shalom preschool emphasizes the Jewish values of family, community, and caring. Music, holiday celebrations, and learning simple blessings help children gain pride in the richness of the Jewish heritage and culture. View the Rodef Shalom Family Center Preschool Calendar or downloadable forms.